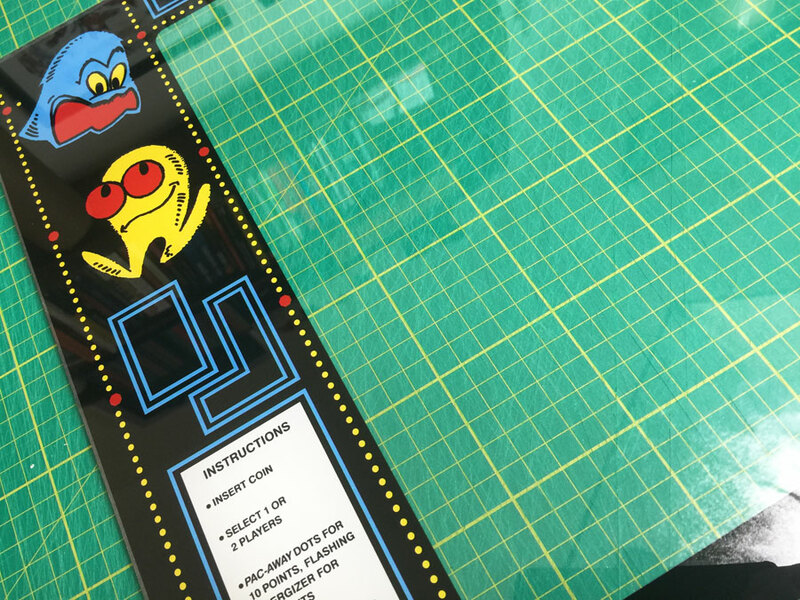 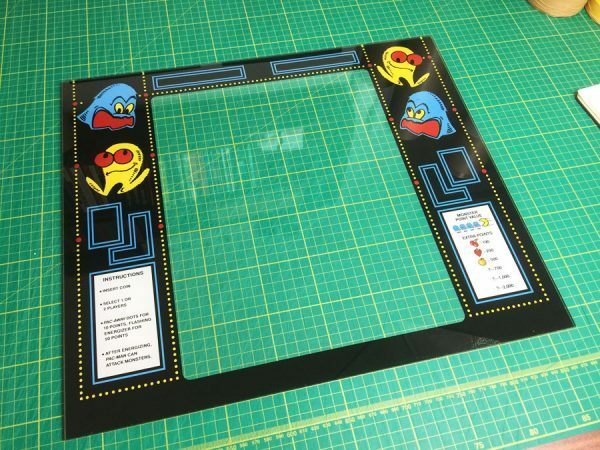 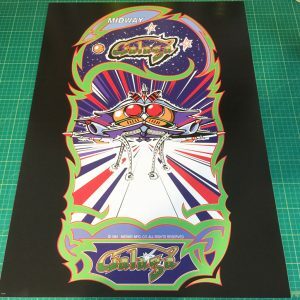 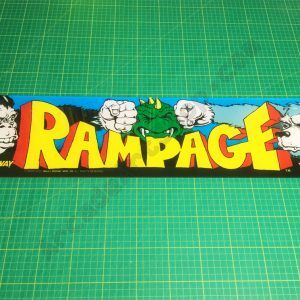 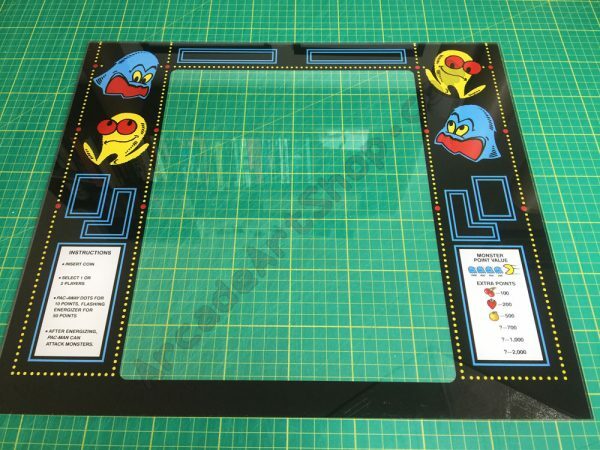 Repro bezel for cabaret/mini Pac-Man cabinets. 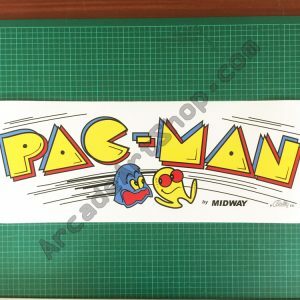 Direct reverse printed to 5mm thick plexiglass with a white ink backing. 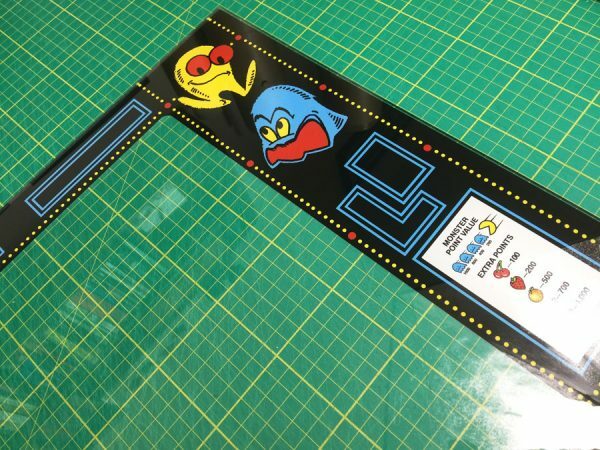 Backorder item, please allow 2 weeks for production.